for helping to pick winning numbers! This information will not be perfect - we endeavor to update this page on a regular basis, but website layouts change. With a little perseverance, you can easily locate historical lottery drawing data on almost every lottery website just by following logical menu prompts. Likewise, the procedure for capturing and importing data is very similar from game to game, with only an occasional need to resort to Analysis Lotto's more advanced data import tools. Study the examples on this page and you should easily be able to locate and import data into Analysis Lotto from any lotto game, anywhere. Getting numbers for import into Analysis Lotto: All games: choose game from dropdown box. Click "View Past Winning Numbers". Select all the numbers on your browser's screen and copy. Other games not listed here will be found on the multi-state games page. Getting numbers for import into Analysis Lotto: Click on your game. Then, where is says "See past winning numbers by date", choose a month and click Search. Getting numbers for import into Analysis Lotto: Choose a game from the Play menu. On the next screen click "Past Winning Numbers" - Then click on "Download all numbers". Open the downloaded text file in Windows Notepad. Select the page of numbers on your browser's screen and copy. Getting numbers for import into Analysis Lotto: Choose game, then click "Past Winning Numbers". Choose year and month. Select all the numbers on your browser's screen and copy. DC LOTTO: NOT COMPATIBLE with import feature - because numbers are displayed as graphics. Get these games from one of the multi-game websites instead. Additional games may be found on the multi-state games page. Getting numbers for import into Analysis Lotto: Click "Games" then "Winning Numbers". Where it says "Search by Date Range" enter your game and dates, click "Submit". Select all the numbers on your browser's screen and copy. Getting numbers for import into Analysis Lotto: Click "Winning Numbers". Where it says "Advanced Search" enter your game and dates, click "Submit". Select all the numbers on your browser's screen and copy. Getting numbers for import into Analysis Lotto: Click "Winning Numbers" and choose game. Under the drawings it says in small type "View in text format" Click here. Select all the numbers on your browser's screen and copy. Getting numbers for import into Analysis Lotto: Click "Numbers" and choose "Past Winning Numbers". Click "Search by Game". Choose game and date range. Select all the numbers on your browser's screen and copy. Getting numbers for import into Analysis Lotto: Click "Winning Numbers" and choose "Search Winning Numbers". Choose game and date range. Select all the numbers on your browser's screen and copy. Getting numbers for import into Analysis Lotto: Click "Winning Numbers" and choose game. Click "Winning Numbers" on this page, too. Select all the numbers on your browser's screen and copy. Getting numbers for import into Analysis Lotto: Scroll down the page to find your game. Click on "Previous Numbers". Select all the numbers on your browser's screen and copy. Getting numbers for import into Analysis Lotto: Click on "Previous Numbers", then on "Game Details" for your game. Then click on "Past Winning Numbers". Select all the numbers on your browser's screen and copy. Getting numbers for import into Analysis Lotto: Click on "Winning Numbers", then find your game. Additional drawings available by using the search box at the bottom of the page. Select all the numbers on your browser's screen and copy. Getting numbers for import into Analysis Lotto: Click "Draw Games" and choose your game. Then choose game and date range. Select all the numbers on your browser's screen and copy. Getting numbers for import into Analysis Lotto: Click "Winning Numbers" and choose "Archives". Then click "Previous winning numbers" Select all the numbers on your browser's screen and copy. Getting numbers for import into Analysis Lotto: Click "Find Past Winning Numbers" at the bottom of the page, then select game and date range. Select all the numbers on your browser's screen and copy. Getting numbers for import into Analysis Lotto: Click on "Past Winning Numbers", then select game and date range. Select all the numbers on your browser's screen and copy. Getting numbers for import into Analysis Lotto: Scroll the page down to your game. Click on "Past Winning Numbers" next to your game. Select all the numbers on your browser's screen and copy. Getting numbers for import into Analysis Lotto: Click on "Past Winning Numbers" at the top of the screen. Scroll the screen to find your game. Select all the numbers on your browser's screen and copy. Getting numbers for import into Analysis Lotto: Click on "Games" at the top of the screen. Choose your game. Select all the numbers on your browser's screen and copy. No native games. See the multi-state games category. Getting numbers for import into Analysis Lotto: Click on "Winners and Numbers" at the top of the screen. Then click on "Search Winning Numbers" also at the top. Choose your game and date range. Select all the numbers on your browser's screen and copy. Getting numbers for import into Analysis Lotto: Click on "Winning Numbers" at the top of the screen. Then click on your game. Then, on screen left, click "Past Winning Numbers". Choose your month and year. Select all the numbers on your browser's screen and copy. Getting numbers for import into Analysis Lotto: Click on yor game, then on "Recent Winning Numbers". Select all the numbers on your browser's screen and copy. Getting numbers for import into Analysis Lotto: Click on "Past Winning Numbers". Choose game and date range. Select all the numbers on your browser's screen and copy. Getting numbers for import into Analysis Lotto: Click on "Winning Numbers" on screen left. Choose game. Select all the numbers on your browser's screen and copy. Getting numbers for import into Analysis Lotto: This website uses a programming trick so that the past drawings cannot easily be copied onto the clipboard. Get the Ohio numbers from one of the multi-game sites instead. Getting numbers for import into Analysis Lotto: Click on "Winners and Results" on screen top. Click "Past Results" on the left. Choose game and date range. Select all the numbers on your browser's screen and copy. Getting numbers for import into Analysis Lotto: Go to "Games" on the menu at screen left, and choose your game. Click on "View Past Winning Numbers" on the right. Choose game and year. Select all the numbers on your browser's screen and copy. Getting numbers for import into Analysis Lotto: Find your game of screen left, and click "Numeros Ganadores". Select all the numbers on your browser's screen and copy. This WON'T WORK for the Pega 2, Pega 3 and Pega 4 games, the numbers aren't formatted correctly. Get these from one of the multi-state data websites. Getting numbers for import into Analysis Lotto: Past drawings are displayed as graphics, and so can't be copied to clipboard or imported. Get these games from one of the multi-game pages. Getting numbers for import into Analysis Lotto: Past drawing lists do not appear to be available on this website. Look instead on one of the multi-game lotto websites. Getting numbers for import into Analysis Lotto: Click on "Games". Click on the game of your choice. Where it says "Search for a Past Winning Number", choose a month and year. Select all the numbers on your browser's screen and copy. Getting numbers for import into Analysis Lotto: Click on "Winning Numbers" at screen top. Scroll the page to the game of your choice. Click on "Show all Previous Draw Results". Select all the numbers on your browser's screen and copy. Getting numbers for import into Analysis Lotto: Click on the game of your choice. Click on "Past Winning Numbers" on screen left. Select all the numbers on your browser's screen and copy. Getting numbers for import into Analysis Lotto: Click "Past Number Search" at screen top. Click on the game of your choice. Choose month and year, and Submit. Select all the numbers on your browser's screen and copy. Getting numbers for import into Analysis Lotto: Click on the game of your choice. Select all the numbers on your browser's screen and copy. Getting numbers for import into Analysis Lotto: The format of historical drawing info presented here isn't compatible with Analysis Lotto's data import. Get numbers from one of the multi-state sites instead. Getting numbers for import into Analysis Lotto: Click the game of your choice. Then click "More" next to "Past Winning Numbers". Select all the numbers on your browser's screen and copy. Getting numbers for import into Analysis Lotto: Click the game of your choice. Select all the numbers on your browser's screen and copy. Most states have games like Powerball and Megamillions, which are played across multiple states. Getting numbers for import into Analysis Lotto: Click on "Powerball Numbers" then "Old Numbers". Choose date range. Select all the numbers on your browser's screen and copy. The other games here work the same way. These websites conveniently track and compile drawing info for all games played in the United States, plus Canada and sometimes other countries. There are many such websites - below is just a sampling. Getting numbers for import into Analysis Lotto: Click your state or province. Under "Recent Winning Numbers", choose your game. Select all the numbers on your browser's screen and copy. Getting numbers for import into Analysis Lotto: Click your state. Choose your game. Select all the draw dates in the "Select Draw Date" box. Click "Get Previous Drawing Results". Select all the numbers on your browser's screen and copy. Getting numbers for import into Analysis Lotto: Click "Lottery Results". Click your state or Canadian province (can also select Europe: Ireland, UK, Germany.) Choose your game, and click "Past Results". Select all the numbers on your browser's screen and copy. Getting numbers for import into Analysis Lotto: Click your state. Choose your game, and click "Past Results". Select all the numbers on your browser's screen and copy. Getting numbers for import into Analysis Lotto: Click your state (or you can click on many different countries at the bottom of the screen.) Look toward screen bottom for the "Past Results" box. Choose a game in here. Select all the numbers on your browser's screen and copy. Getting numbers for import into Analysis Lotto: Click "Lotto Results". Choose your game, and click "Past Results". Click the "Print" button to get a screen that's easy to copy from. Select all the numbers on your browser's screen and copy. Getting numbers for import into Analysis Lotto: Historical drawing data isn't easily available here. Instead, use one of the multi-game websites to copy drawing data from. Getting numbers for import into Analysis Lotto: Past drawing info at this site cannot easily be copied. Look instead at the multi-game websites, some of which cover the Ireland lottery games. Getting numbers for import into Analysis Lotto: Click your game, then "Previous Results". Select all the numbers on your browser's screen and copy. Getting numbers for import into Analysis Lotto: Click on "Downloads". You will be presented with links to Excel files, one for each game. Download the game of your choice. Now we need to convert Excel to plain text. Open the Excel file in Excel or Open Office. Now, using your mouse, copy the columns that contain the dates and drawn numbers. Careful - don't copy lots of empty cells at the bottom of the spreadsheet. Getting numbers for import into Analysis Lotto: Find your game under"Check Results", then click "Draw History". Select all the numbers on your browser's screen and copy. Magnum 4D (4 from 0 to 9, repeats) Historical data on this site very hard to cut and paste. http://www.igwb.com/ - another gaming industry magazine. Public Gaming Research Institute Magazine http://www.publicgaming.org/ - PGRI sponsors conferences, trade shows and publishes research for the lottery industries around the world. NASPL http://www.naspl.org/ is the North American Association of State and Provincial Lotteries. 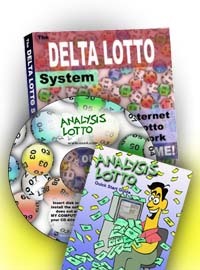 It has a wealth of information about U.S. and Canadian lotteries including lottery revenues, where the money goes, compulsive gambling issues, history of the lottery, lottery terms and much more. Lotto Jackpots http://www.lottery.com/new_site/jackpot/jackpot.asp (All states) from Lottery.com. To return to the top of our website, click HERE.